Welcome to McNeil Roofing Inc. - McNeil Roofing Inc. Welcome to McNeil Roofing Inc. Your roof protects your most important assets. 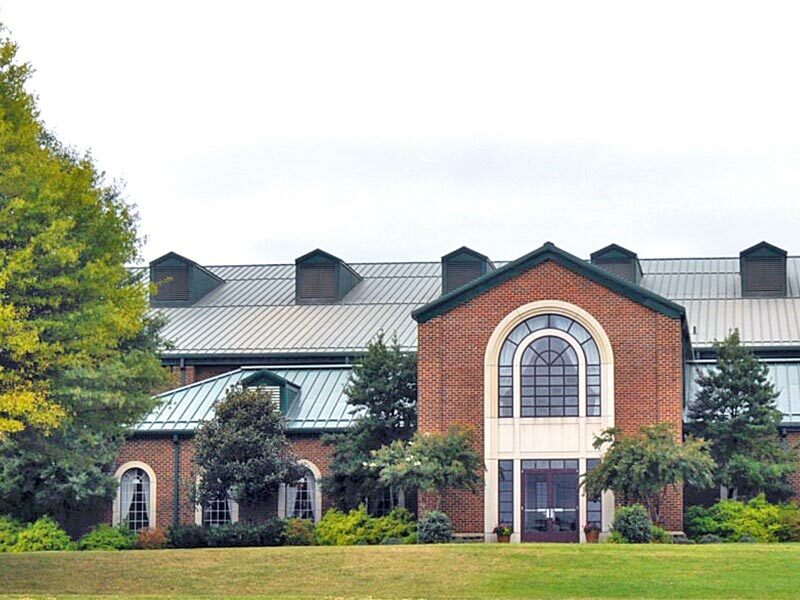 McNeil roofing has done a great job for the Y on several occasions through the years. They are prompt, professional and they stand by their work. In addition, their people connect with their clients in a personal way. 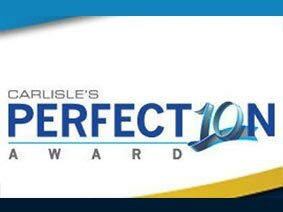 It is nice to work with a company that truly wants to know the people or business they are helping, not just install a roof. McNeil Roofing Inc. has been our saving grace for many years! They are very responsive when we have any issues with our roofing needs, have extensive knowledge of the latest and most cost effective products, and have replaced various types of our roofs over the years with excellent results. I highly recommend McNeil to anyone needing professional, courteous, knowledgeable and reliable roof replacements and repairs! I wanted to compliment two of your workers that were here at the Administration building today. They took their time to alert our staff in regards to some additional items on the roof that needed our attention. Their names are John and Thomas and could you please let them know that we appreciate what they did? This project involved reconstructing the front edge of the metal roof on the front and side of the building to provide better drainage. 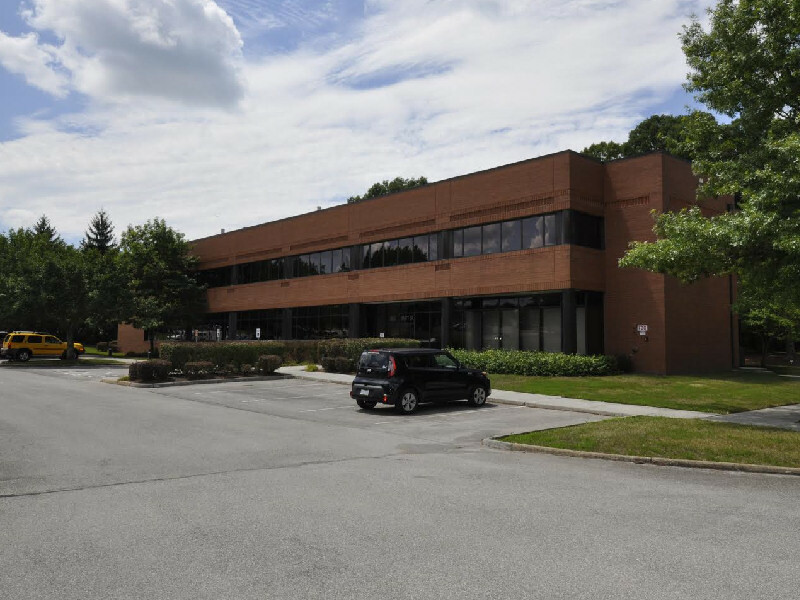 The low-sloped rear roof utilized a Carlisle Fast 100 Adhesive and Fleeceback 115 Roof system to reduce glue odor in the occupied building. The front metal roofs were reroofed with a factory formed Batten Seam Metal Roof System. Gutters matching the metal roof were shop fabricated and installed on the front of the building in the area where problematic interior drains were removed. The existing concrete coping was covered with shop formed metal coping matching the color of the metal roof. 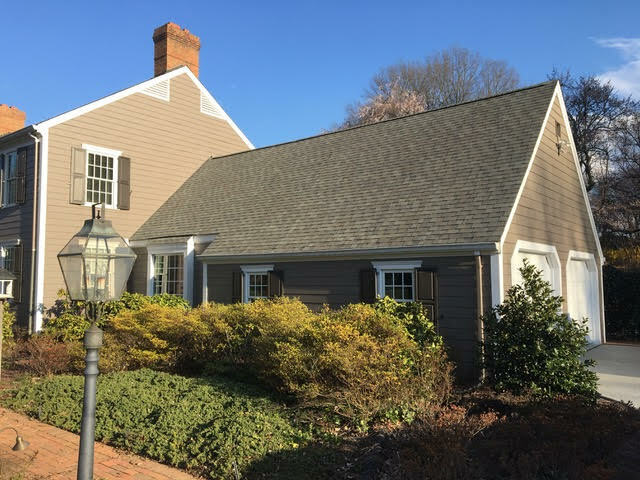 For this particular job the owner wanted to coat the roof and maintain the original green color as closely as possible. We were able to have the manufacturer mix a custom green that matched extremely well. The roof was coated with a silicone coating to stop leaks in the metal panel seams and to prolong the life of the roof. 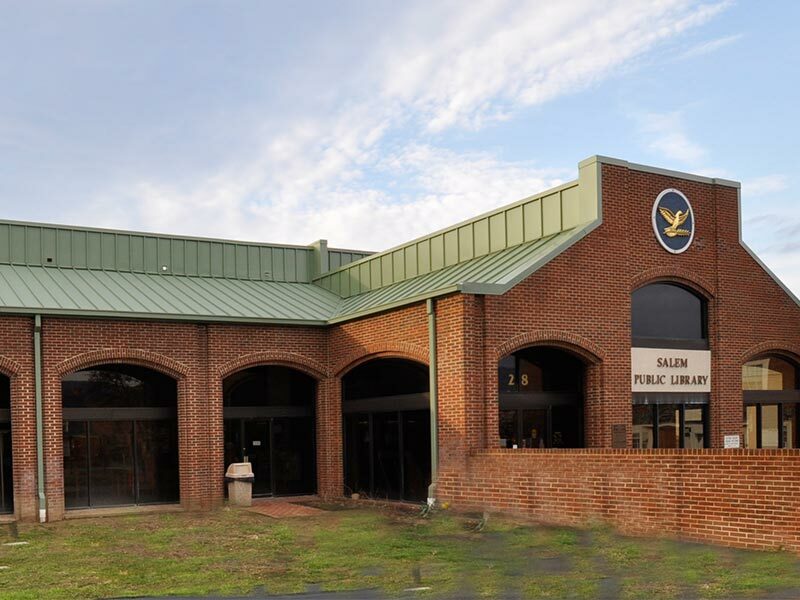 This was a complex project due to the use of the building. There was considerable equipment on the roof and a large number of penetrations thru the roof that added to the complexity of the roof installation. 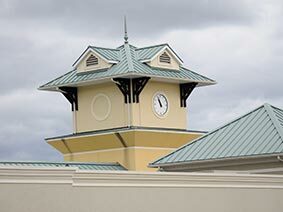 We also installed architectural grade metal copings around the top of the exterior walls. The entrance to the building is on the main level which is actually on the second level. We installed a roof on a large patio just behind the reception area. 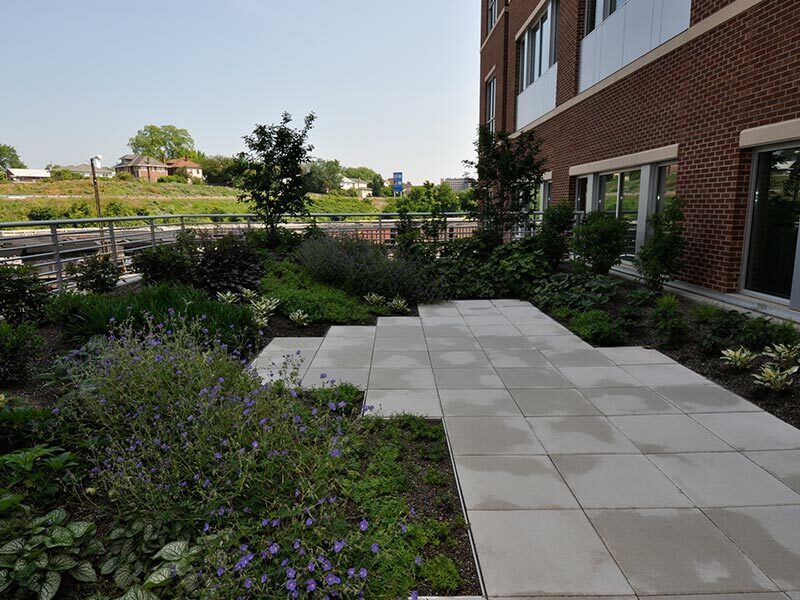 We installed raised concrete pavers to make a sitting area surrounded by gardens containing flowers, shrubs, and small trees. This building is in a flood control zone where the ground floor is parking area and the first occupied floor is the floor above the parking. The administrators of this facility wanted a quiet, garden type space where they could meet with prospective students and researchers. The ground surrounding the building did not provide this type of space, so it was decided that a concrete deck at the rear of the reception area would become such a space. We took the deck and roofed it with a very specific roof system that promotes the planting of a roof garden. We created a patio area using concrete pavers set on pedestals so proper drainage of the roof could be maintained. A porous barrier was installed around the pavers. A specially blended soil mix was then added at depths ranging from a foot to four feet. This added depth allowed us to install several small trees and flowering shrubs around the patio along with different perennial flowers. This has created a very quiet, private area in the middle of a busy area. This roof was originally a loose laid system with stone ballast holding down the insulation and membrane. 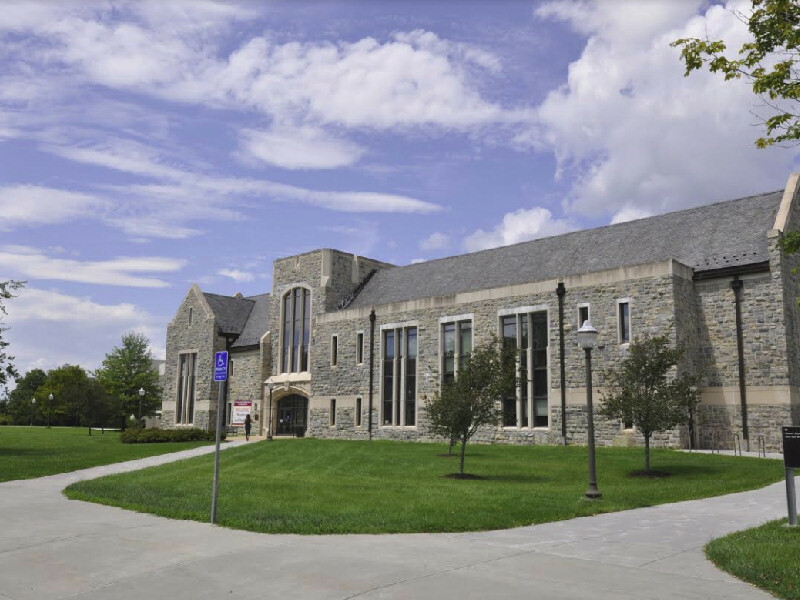 Va. Tech was involved in developing the new V2T Technology that uses the wind to hold down the roof system in lieu of the weight of the stone ballast. This new technology was used to reroof this building. McNeil was the first company to use this technology in our region. McNeil has since installed a number of roofs using this technology. 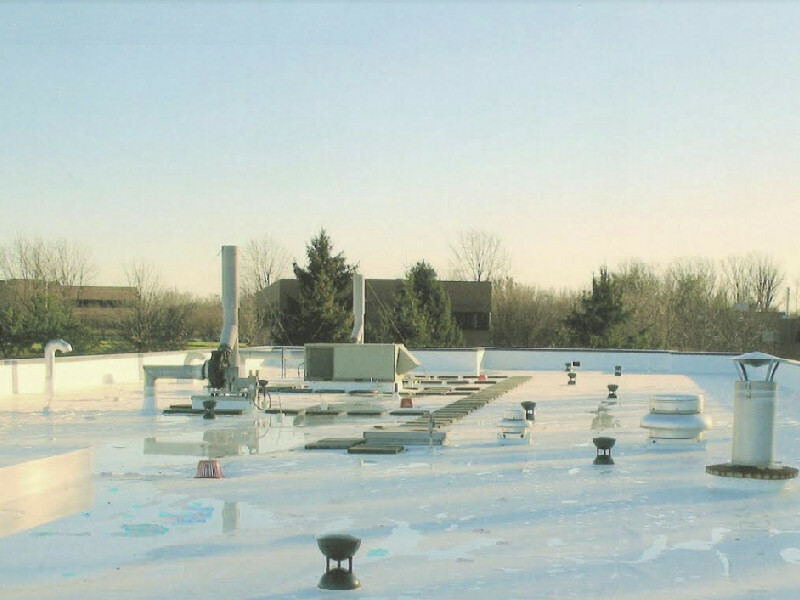 It is particularly useful when installing a roof on a concrete roof deck or when the odors from the adhesives used in a fully adhered system are a problem for the occupants in the building. 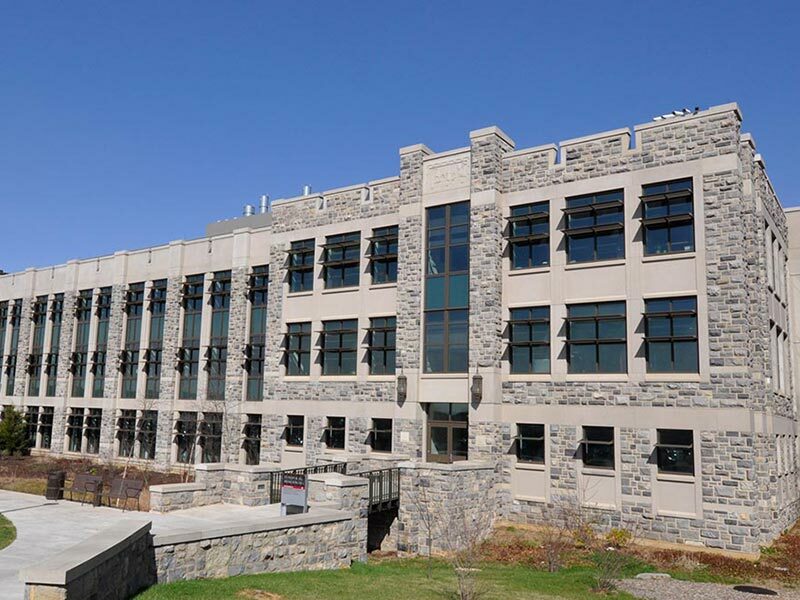 This is a prominent building built in the traditional style of Virginia Tech buildings using the Hokie stone exterior. The building has a low sloped fully adhered EPDM rubber roof. This building has some low-sloped areas that were roofed with a fully adhered EPDM rubber roof. The majority of the roofs are steep-sloped roofs and were roofed with slate tiles. This project had numerous individual roof areas. The low-sloped areas were roofed using a fully adhered EPDM rubber roof system. The steep-sloped roofs are standing seam metal roofs. 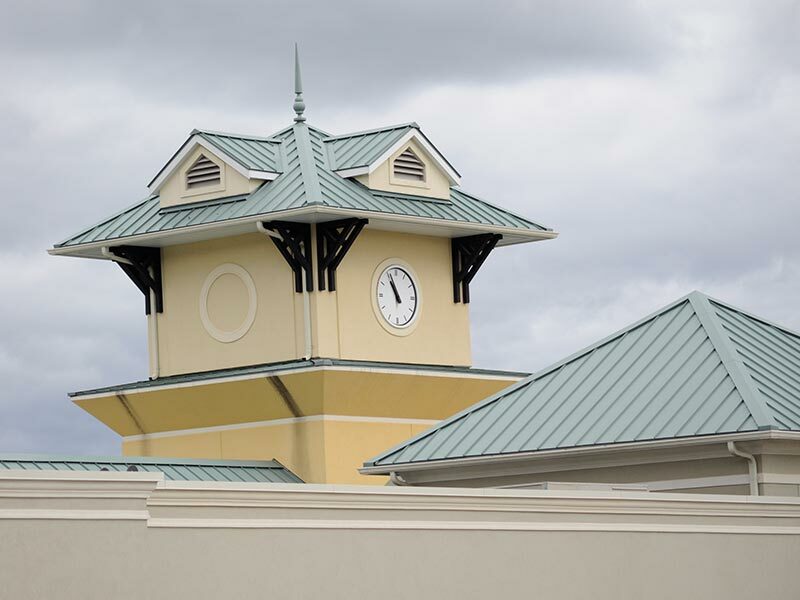 McNeil utilized its roll forming equipment to site form the standing seam metal roof panels. This enabled precise measuring and production of the roof panels and avoided the possibility that the panels would be damaged during transportation to the jobsite. The matching metal gutters and downspouts were manufactured in McNeil’s shop for the same reasons. 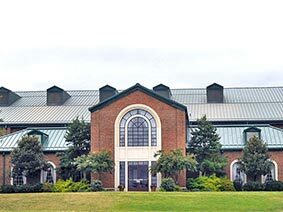 This was a complex roofing project due to the equipment on the roof and the inclusion of a large green roof. We installed a TPO membrane roof. There were a large number of penetrations thru the roof and a mechanical screen around a majority of the roof. There were a number of large mechanical units on the roof with considerable ductwork supported by steel frames on the roof. 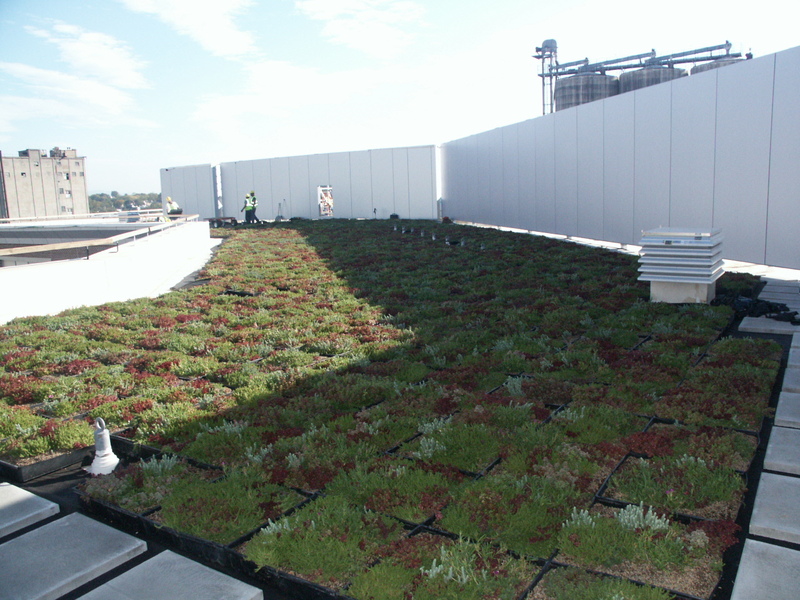 We installed almost 15,000 square feet of a green roof tray system on this roof. We actually grew the plants in the trays in local greenhouses and then installed the grown trays on the roof. The V2T Technology uses the power of the wind to hold the roof securely in place. Based on a recognized principal of physics, the vent creates a vacuum that becomes stronger as the speed of the wind increases. The vacuum pulls the air from under the membrane, drawing it down to the deck and holding the membrane firmly in place. The harder the wind blows the better II works! 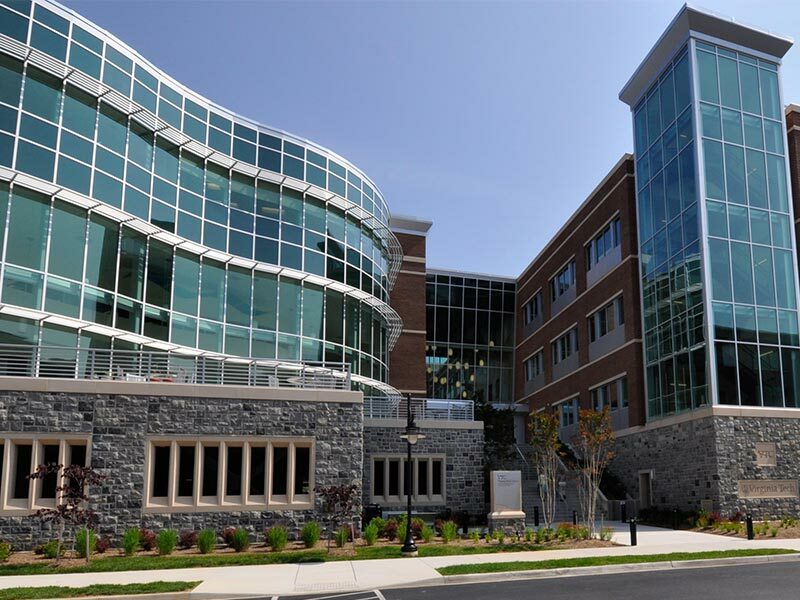 The V2T Venturi Vacuum Technology was developed in collaboration with the Virginia Tech College of Engineering and the College of Architecture in Blacksburg, Virginia. This revolutionary Venturi Vacuum Technology is ideal for low sloped roofs with high winds and on buildings where fully adhering a membrane is too costly an option.